You & Your Family Are Worth Protecting. 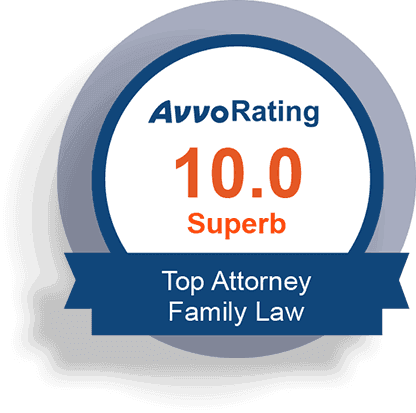 When it comes to your family, demand more and choose a law firm with customized strategies and proven results. At Stolar & Associates, A Professional Law Corporation, we understand the complexity, stress, and emotional strain of divorce. We provide our clients with peace of mind knowing that a zealous advocate is on their side – capable of protecting their family's best interests. Each Los Angeles divorce attorney at our firm is compassionate in approach and is proven in their methods. They guide clients through the most difficult seasons of their lives. If you are considering a divorce, our lawyers can put this skill and dedication to work for you. For more than 30 years, divorce lawyers have helped families throughout Beverly Hills and Los Angeles resolve complex issues related to divorce, including child custody, support, and asset division. We have built a reputation for excellence in the courts and among other members of the legal community. We value our reputation and believe it is a genuine reflection of the quality of our work. To see how we can use this experience and knowledge to your benefit, get in touch with a Los Angeles divorce lawyer at Stolar & Associates today. Se habla Español. At Stolar & Associates, A Professional Law Corporation, our Beverly Hills custody attorneys help our clients work out physical and legal child custody arrangements that allow them to maintain the strongest possible relationships with their children. California child custody law dictates that child custody and visitation determinations are to be made from the standpoint of the child's best interest. As your legal counsel, our lawyers will help you work out a parenting plan that will protect your parental rights. We have more than three decades of experience and have worked with many cutting-edge experts in the field, giving our clients even more of an advantage. If you have a question, contact a Los Angeles divorce attorney from Stolar & Associates today.